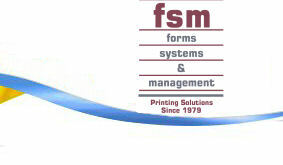 Forms Systems & Management a Southern California Printing company. At FSM our goal is to offer innovative, high-impact, quality products that will give your business an edge over the competition - and provide our customers with our unparalleled dedication to service. We offer quality products, produced with the latest in technology, so we can give your order the FSM Printing "Seal of Approval," and yours too! FSM Printing is proud to offer products that meet the many needs of today's print customers - in a variety of pricing options. FSM Printing is your Southern California Printing company. Copyright © 2003-2004 FSM. All Rights Reserved. Southern California Printing for all your printing needs.